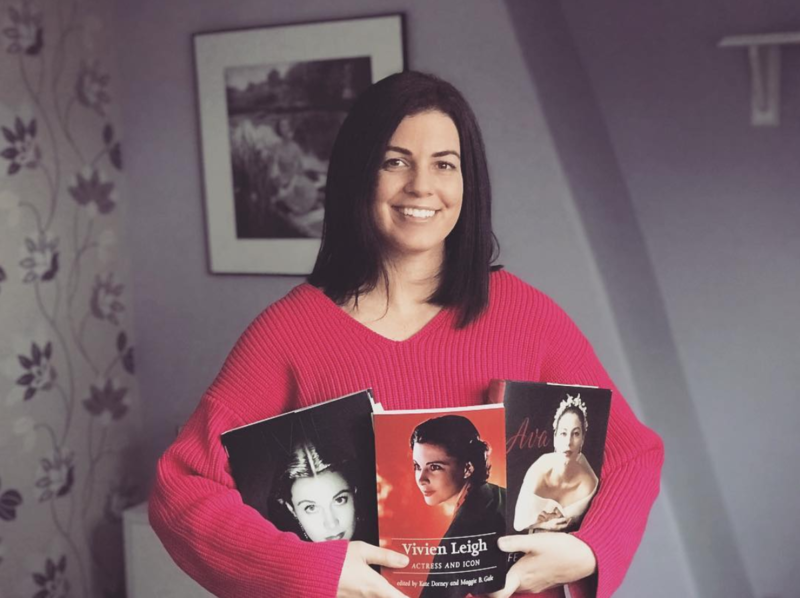 Having a day off from screenings and seminars, I decided to meander over to the West End and take photos of some of the places associated with Vivien Leigh and Laurence Olivier. 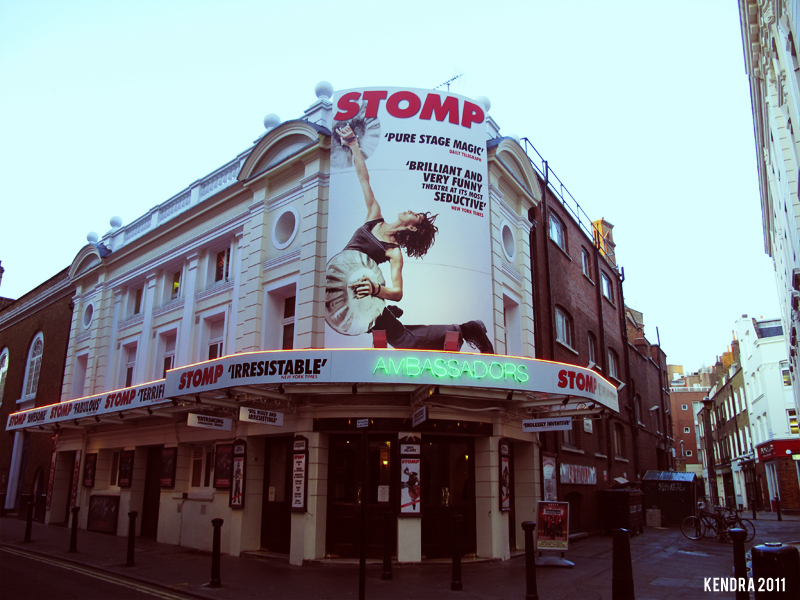 95% of the theatres they performed in are in walking distance from one another. 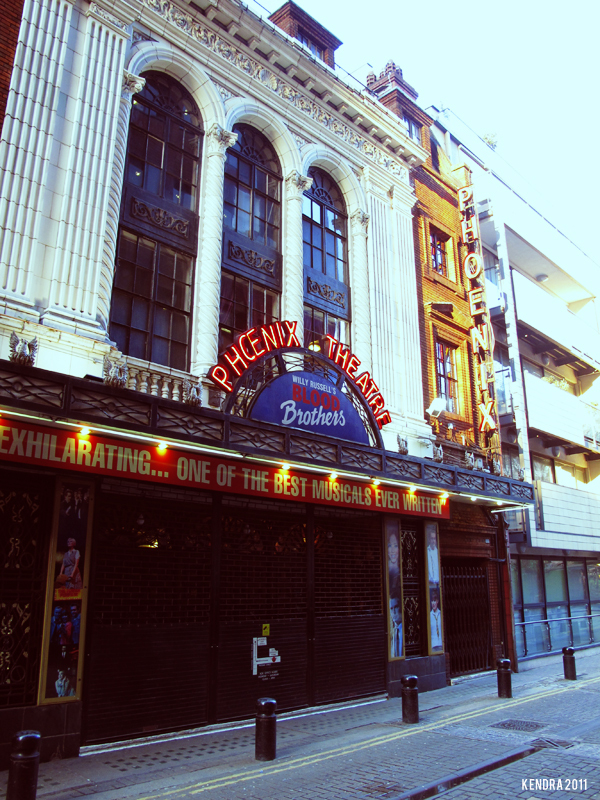 Piccadilly and Soho are great areas in which to explore your photography skills because there are simply so many interesting things to see. Modern architecture meets centuries-old buildings; Chinatown backs up into Leicester Square; posh St James intermingles with the art district. It’s a mish-mash of fabulosity, and I love exploring these sorts of places. 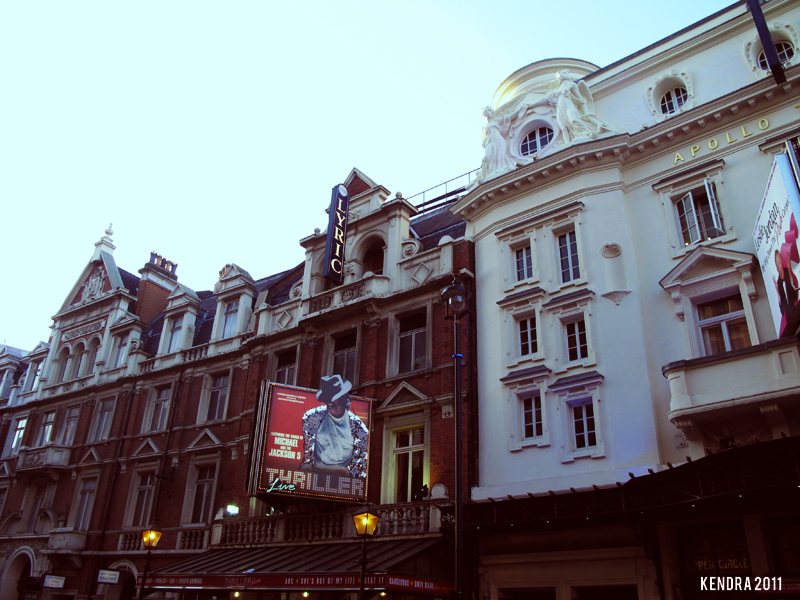 For those of you who are coming to the Weekend with the Oliviers event in May, these are some of the places I’m planning to take you to on our walking tour. 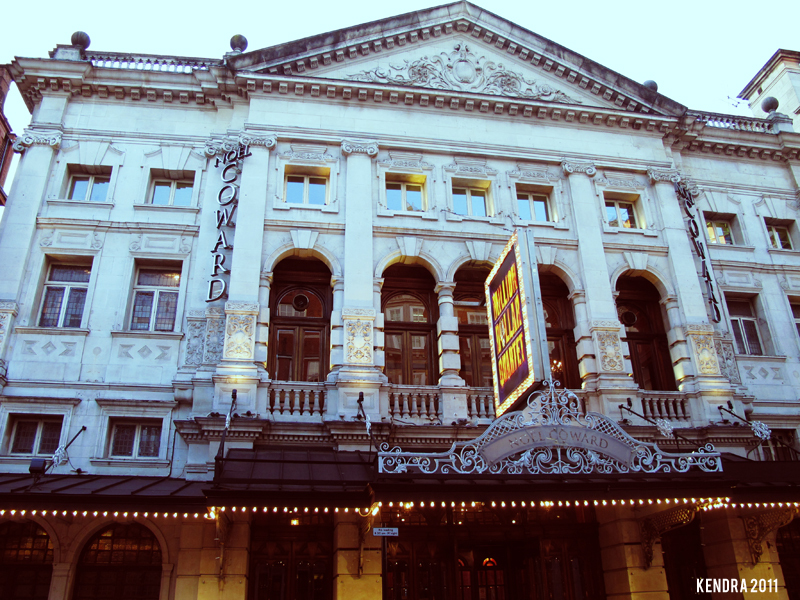 Enjoy the view of London’s theatreland! 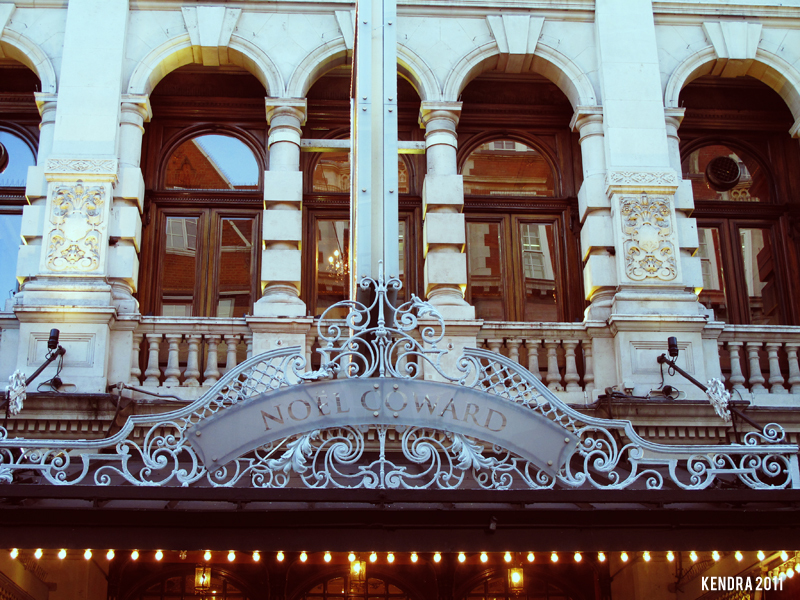 The Noel Coward Theatre (formerly the New Theatre), St Martin’s Lane. 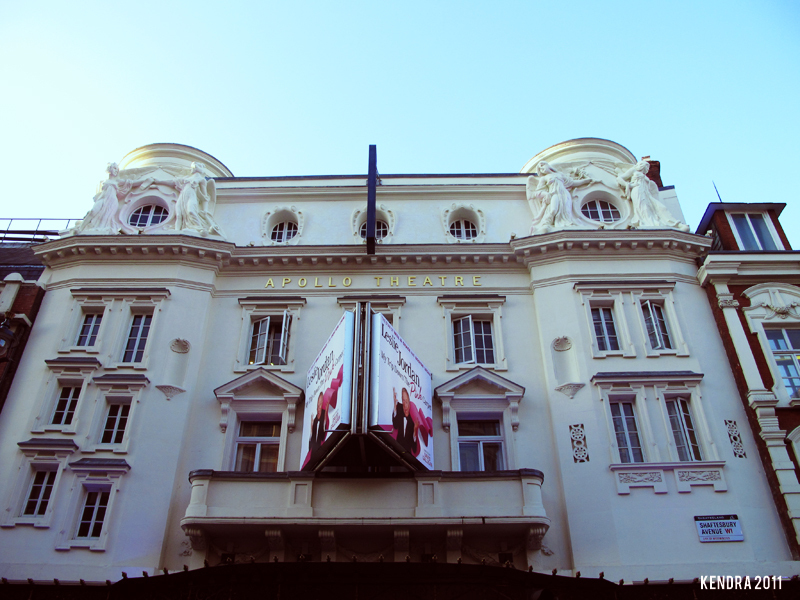 Laurence Olivier performed here in several plays in the 1940s as actor-manager of the Old Vic Company. 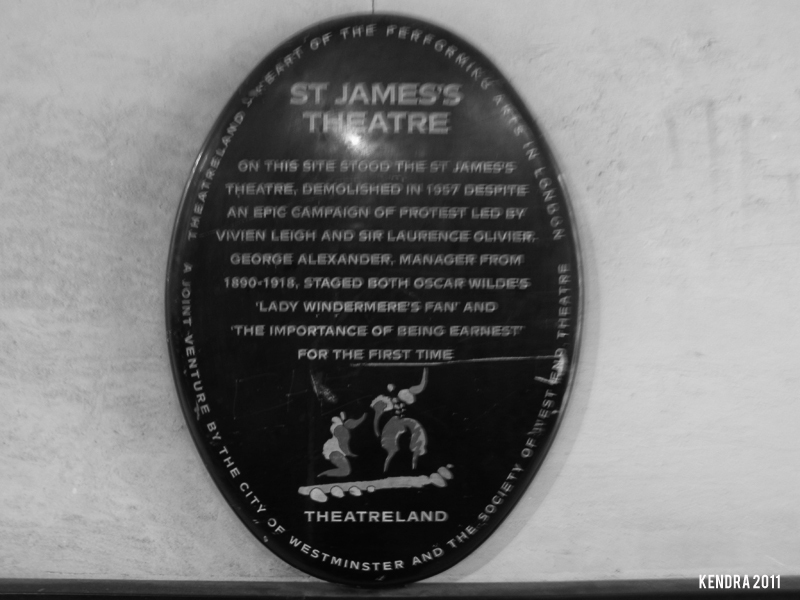 The former site of the St James Theatre, King Street. 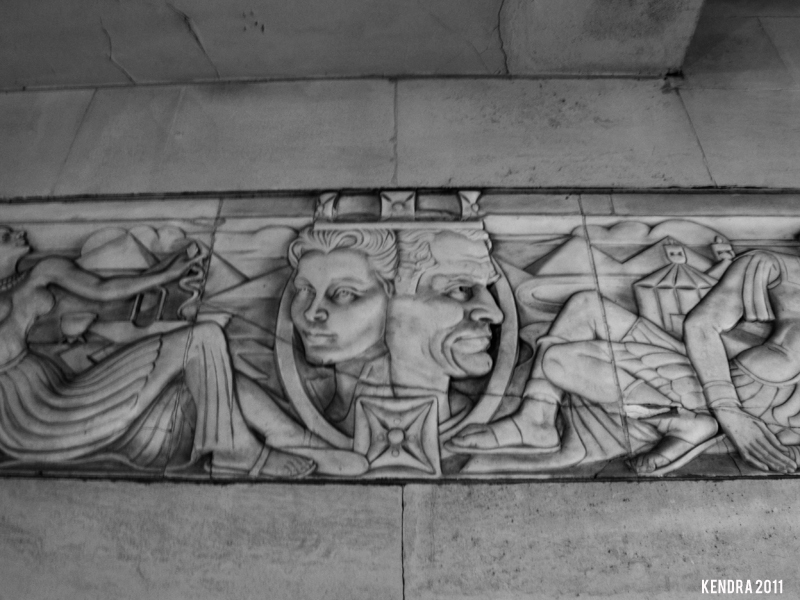 It’s now St James House, across the street from Christie’s. 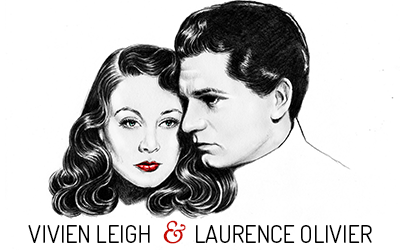 The panel shows Vivien Leigh and Laurence Olivier as Cleopatra and Caesar. 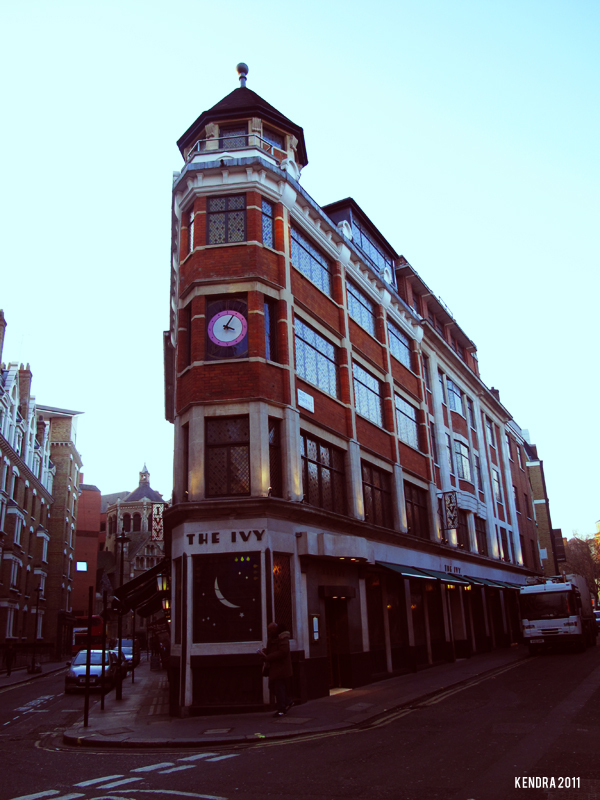 The Ivy, West Street. 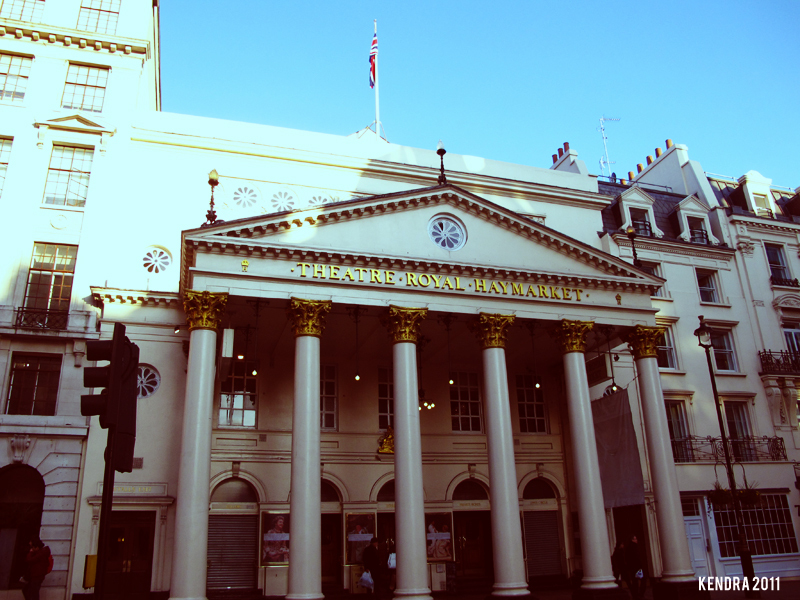 A favorite restaurant of Vivien Leigh, Laurence Olivier, Noel Coward and many other elites of the London stage. What great pictures! You’re quite the photographer, Kendra! It sure would be nice to join you on the weekend tour, but alas it’s not in the cards for me and my family right now, but hopefully in the next couple of years. Thanks for sharing! Gosh, Kendra, thank you so much!!! Oh, I’m amazed!!!!!!!!!!! I’m an actress too and Vivien was the inspiration. I became an actress after reading her bio!